I never know an Indian who hates Ghee, have you? 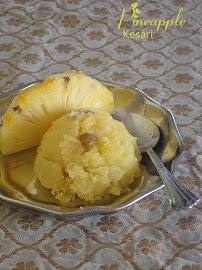 Most Indian sweets and recipes call for Ghee and I feel its apt to have a post on how to make Ghee in my space. 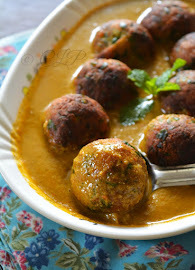 I love the fragrance and taste of ghee on hot white rice/ sambar sadam but I love it all the more in sweets. 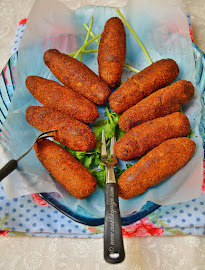 If North India are known for sweets using milk, South India is known for Ghee sweets right from the famous Pure Ghee Mysore Pak to the Maavu Ladoos Ghee is adorned. Although I must admit that I am a lazy person who would prefer to pick a pack of ghee from the supermarket, I have made it a point to make ghee at home, just like ginger-garlic paste, coconut milk, tamarind paste and so on. I have to say there cannot be anything near the homemade ghee and the way your kitchen is full of aroma of the ghee is totally heavenly. 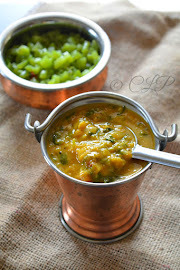 Reminds me that Amma too makes ghee at home although her version is with curry leaves to give an extra punch but somehow I did not add curry leaves or rock salt to this recipe. Since I love it plain and pure so that I can use it for savory and sweet dishes. What butter do I use for making home-made ghee? Salted or Unsalted? This is a frequently asked question. Personally I love to use unsalted butter since ghee can be used for both sweet & savoury recipes, if its salted you would not know how much salt to use in the recipe. So I go for unsalted butter. One other thing is that salted butter when melted foams up too much, so take care while making ghee using salted butter. 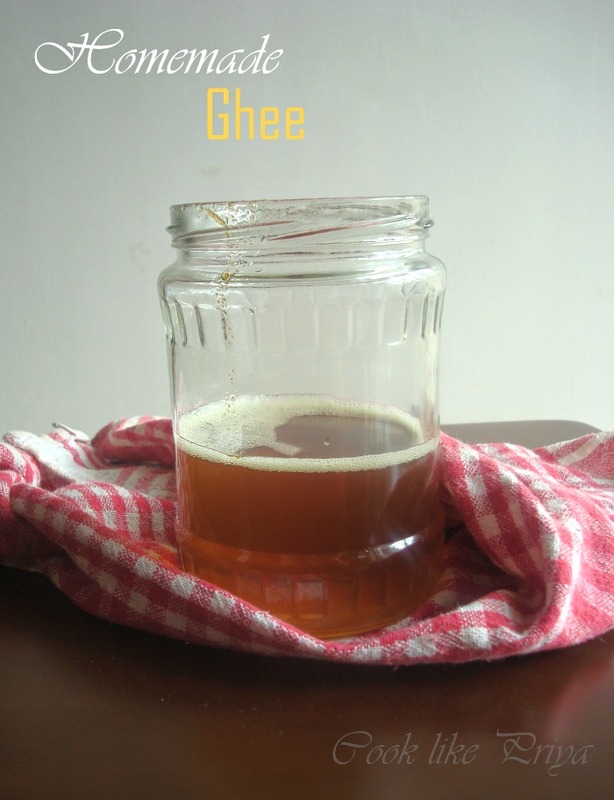 HOW TO MAKE HOMEMADE GHEE ? 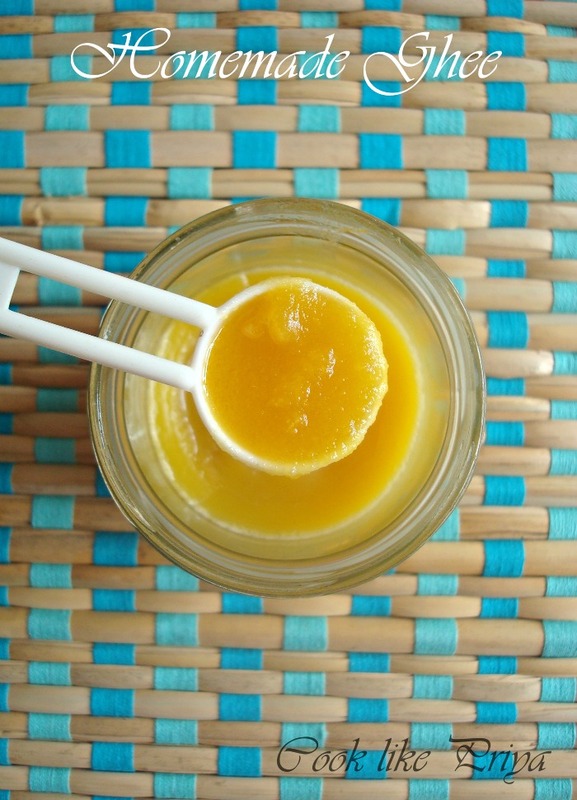 - This homemade ghee is good in room temperature for upto 2 months you can store it even in the refrigerator. Fantastic and aromatic homemade ghee,looks prefect..
i love this kind of tutorial, keep them coming! very useful Priya. 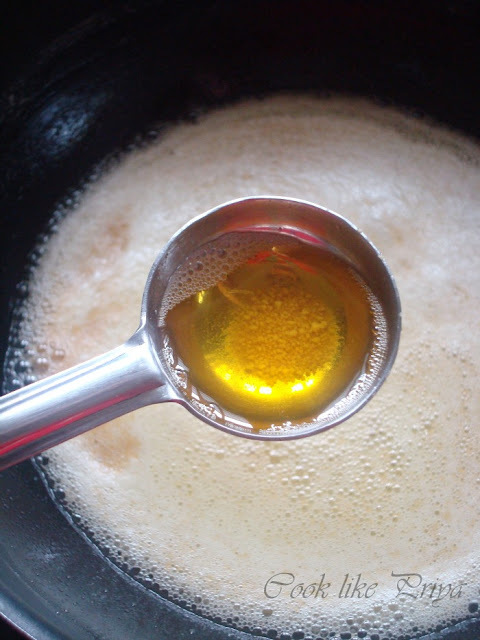 Eppo parthalum blog pudhusave irukku (becoz of the header) :-) Nice pictorial for making ghee. 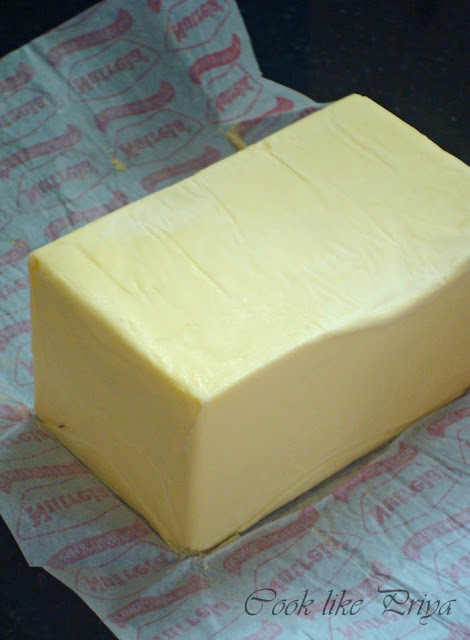 I never made it from the store bought butter but make from homemade butter in small small quantities. Very useful post.. Clear explanation with step bt step pictures.. This reminds me of my mom. She buys fresh milk even today from the milk vendor. 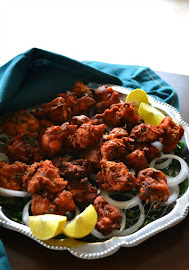 She removes the malai and saves it. She churns it to get butter and then prepares ghee. The entire house fills up with the aroma.